BMW E31 8 Series trouble-shooter. Andrew Everett provides his top 10 tips for those interested in buying, running and repairing the complicated but desirable 8 Series. Launched 30 years ago this year, the original E31 8 Series went into production at the Dingolfing plant in July 1989. Originally as an BMW 850i E31, the new car broke all protocols, and was very far removed from both the previous E24 6 Series and the high-performance M635CSi E24. Bigger, heavier, and far more expensive, the E31 pretty much tanked in sales terms. BMW had made a similar mistake to Jaguar’s, when it had launched the XJ-S some 14 years earlier. It had produced a car that the buying public didn’t really want, once the initial newness had worn off. Ten years later, the final E31 8 Series went down the line, never to be replaced – well, the current car to bear the 8 Series name is probably nice enough but, as far as I’m concerned, lacks the wow factor of the original. 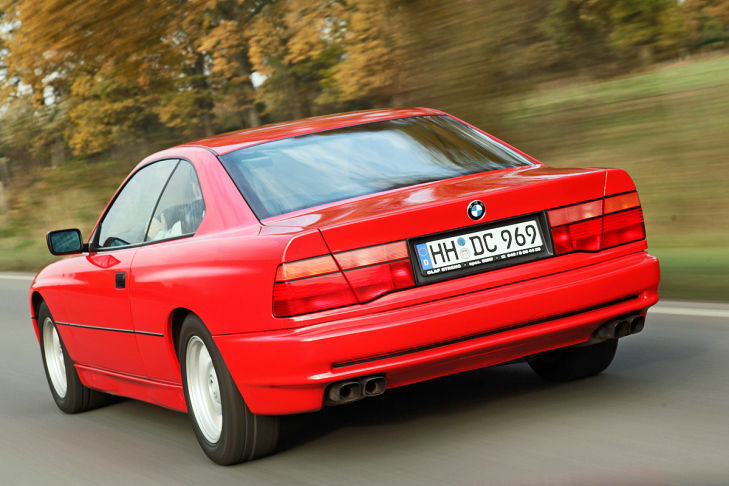 Because they’re all pretty old now, the 8 Series requires a lot of caution when buying. The V12 cars were OK but, really, the 840Ci did just about everything the 850i and Ci could, without using quite so much fuel. The 380hp 850CSi model is now expensive to buy, after going through the inevitable ten grand phase a while back, but even the shiniest E31 needs close scrutiny by a prospective buyer. Although the 850i was launched in late 1989 deliveries didn’t really start until 1990, with models being available with both four-speed auto (ZF 4HP) transmission or a six-speed manual. The 840Ci arrived in 1994, powered by the four-litre, M60 289hp V8, bolted to either a five-speed auto (ZF 5HP) or a six-speed manual. Then the 380hp 850CSi appeared, with 17in wheels, AHK four-wheel steering (AHK = Aktive Hinterachs-Kinematik), bigger vented brakes with floating front discs, differential oil cooler and an engine oil cooler. The 850i was rebadged as the 850Ci, although the early ones used the M70 – the revised 5.4-litre M73 with the five-speed auto for the new E38 7 Series, arrived shortly after the rebadging, although RHD sales of the car were suspended just after the 840Ci’s UK launch, and then discontinued. An 840Ci Sport arrived in the 1996 model year, with the CSi wheels, trim and bumpers, plus uprated suspension, and the 850CSi was discontinued late that year. In all, around 30,000 E31s were built during a 10-year production run, which compares to over 86,000 6 Series cars produced over 13 years. 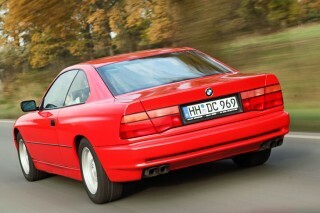 In short, BMW made a mistake in overpricing the E31. At £45,000 I’m sure that it would have found a ready stream of buyers but, at £62,000 (£20,000 more than the outgoing M635CSi E24! ), it was too expensive for what was, essentially, a one-trick pony. What follows is my summary of the key areas to check and be aware of, if you’re thinking about buying one of these cars today. The old V12 first saw the light of day in 1987, in the E32 750iL. It was an all-alloy, five-litre unit that delivered 300hp on a good day. With 450Nm of torque, it went well enough, and it’s a pretty reliable engine. However, the twin-ECU engine management system can be tricky. Luckily, a lot of bits like distributor caps and MAF units, were shared with less exotic BMWs, so often don’t cost silly money to replace today. The M70 – and the 850CSi S70 engine – used the same finger rocker arrangement as the four-cylinder M40 engine found in cars like the 316i, 518i and so on. While it’s nowhere near as prone to cam lobe wear as the four-cylinder unit, regard any ‘tap-tap-tap’ from the top-end with suspicion, as this will be pretty expensive to put right. Problems are typically caused by a blocked spray bar, so regular oil and filter changes are essential to avoid trouble. The M73 V12s used roller rockers, which are fine. The V8 in the pre-1996 840Ci is a superb unit. It’s an all-alloy motor with 32 valves, coil ignition and Nikasil bore coatings, but has problems in old age. The Nikasil bore coatings can flake off with too many cold-start bore washes – a shot of oil down the plug holes was often needed to give a worn one enough compression to start! The Duplex timing chain gives no trouble, and the cooling system uses a standard thermostat – cooling problems are rare, unlike on the later, M62 engine. A rare problem with the early V8 was the oil pump bolts working loose and dropping into the front sump, resulting in the low oil pressure warning bong sounding, as well as rattly tappets (insufficient oil pressure to pump them up). However, it’s a simple enough fi x because the front sump pan unbolts easily, after which you can retrieve the bolts and refit them with a bit of thread lock. The M62 is, on paper, a better engine. It’s got the same power output but a bit more torque, due to being enlarged from 4.0- to 4.4-litres (M62 B44). But, overall, they’re not as tough. The Simplex timing chain and the rails give trouble (the 2,000rpm rattle), and the high-pressure cooling system can have issues due to the tremendous pressure it’s under. Fitting an Arab market thermostat drops the temp by 20 degrees, and is virtually an essential modification now. The E31s didn’t use the 1998-onwards Vanos M62TU engine, though. Fitted to many cars as an option, electronic damper control (EDC) is something you don’t need now. This is just as well because BMW cannot supply a new pair of front struts, and they were an insane price, anyway. Converting to Bilstein dampers with a new set of decent springs – I’d opt for factory 850CSi ones if available – would cost a lot less and be bulletproof. Inserts are available for standard dampers, but can be tricky to find. Try not to pay BMW a four-figure sum for new struts. Wokke Performance in Germany (wokke.de) can rebuild EDC struts, though. These units are now at the stage where they can go wrong, with the ZF 4HP24 on the 5.0 M70 V12 cars being possibly more prone to trouble. A rebuild is expensive at around £1,500, and used units are rare – the E32 750i uses the same box. These units run ordinary Dexron II fluid that should be changed every 30,000 miles. The ZF 5HP ‘boxes on the V8 and M73 850Ci cars were better units, and used a synthetic Esso fluid. A bad cam sensor or ABS sensor, one of the two batteries dying or a faulty alternator, can all trigger the dreaded ‘TRANS PROGRAM‘ error message, so a thorough diagnosis is essential. The sump gasket – and its propensity to leak – is an M70 Achilles’ heel. These are a nightmare to change because the rear bolts are within the auto gearbox bell housing. The official fix is to remove the gearbox first, but holes can be cut to enable a long wobbly drive with a 10mm socket to get them out. On a ramp, I’d be inclined to remove the gearbox rather than drilling holes, and also to replace the converter oil seal as a bit of preventative maintenance. Many V12 850i/850Ci cars were fitted with Servotronic, which makes the steering very light around town, but firms it up at speed. It was available on the V8 cars, too, but only as an option, and couldn’t be specified on the CSi at all. It’s more successful than the E32 system, but when it goes wrong, the steering is light all the time. Try another relay unit first before swapping steering boxes. Note that a new relay will cost a few hundred quid new, so test with a used one before buying. Servotronic cars can be converted to a standard steering box, although this isn’t a pleasant job. The E31 was never as rust-prone as the E24 6 Series, but they need a good inspection underneath – particularly in the seams – nevertheless. The rear wheel arches can rust, as can the roof, around the sunroof and screen tops. Milky screens are common and pricey to replace. The E31 uses virtually nothing from the 5 or 7 Series (engine and gearbox apart), so almost everything is will be dealer-only. This almost guarantees that parts will be expensive, or NLA. So, when buying, make sure that everything works, including the air conditioning, power seats and headlights, and be prepared for some steep running costs. Workshop guru and technical expert. BMW owner.